Enrollment for the 2017 season has begun! Want to join our community? Enrollment for the 2017 season has begun! Signup before March 1st for early bird pricing. And we are also offering a chance to win a a free farm share to those helping with our gofundme campaign! For every $50 you donate to our fund, you will be entered to win a free full share for the 2017 season. A winner will be picked by March 1st and I email you if you have won! As many of you know, we leased our current land 7 years ago from a healthcare organization. It was always understood that this was not a forever lease, and one day we would have to begin the process of moving the farm again. We have been told that since the completion of the Clarksburg Outlets the land that we have been farming organically to support our CSA has attracted significant interest including offers to purchase. We’ve also been told that upon acceptance of an offer, it is likely to take up to two years to close on the loan (for permitting/surveying/etc.). To our knowledge, an offer has not yet been accepted. However, realistically, this also means that our best case scenario is no more than 2 years on the current land and, as a result, we only have that amount of time (+/- 2 years) to find a permanent home for our farm. I have spent the last 10 years talking with realtors, looking at property and running the numbers on how to afford land in the county that I was born and raised. Land suitable for farming, within a distance that works for my family is not cheap. I am at a crossroads, and I am weighing all my options. Over the last few months I have met with folks in all areas of the farming world, investors, non-profits, government employees, corporations and farmers to try to devise a plan to keep me farming. The takeaway so far for me is a slight shift in my business model, which I will unveil at a later date, and have begun a fundraising campaign to help secure the necessary funds to acquire land. This is a significant undertaking that I am willing to commit to. That being said, I am also realistic. I am confident in the terms I am willing to accept to make this work, and pragmatic enough to know when I’m straying too far from my vision to be willing to say this isn’t for me anymore. Over the next few months, those that are interested in the planning stages of the farm’s next chapter are encouraged to reach out. 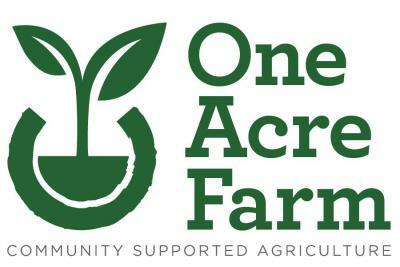 I plan on holding a discussion with all interested parties to go over details, ideas, and challenges to try to reach a conclusion that includes land acquisition, a CSA, and a farm to food bank program that expands on our current “Buy-a-Field” campaign. My vision for this farm has always to be something bigger than just growing vegetables. It has always been about creating a community. I encourage anyone interested to join us. Our annual fall farm tour and party will take place at the farm on Saturday, September 24 starting at 11am. Potluck, country band, bounce house and more! Interested? Send us a note! Hopefully you are all dug out from the snow and starting to think about spring broccoli, summer tomatoes and fall squash to name a slight few. Head over to our completely redesigned website to find out more info about the upcoming season. We have extended our season, and with our farm tours, end of year party and more, we are looking forward to another excellent year! Farm party/fundraiser and tour on October 17th. Friends, we are having a fall farm party on October 17th. We'll have a tour, a country music band and a bounce house for kids. Potluck food and beverages. Please contact me for more information!